Before embarking on your tiling project, no matter how big or small, you need to make sure that you have purchased the correct tile adhesive. All tile adhesives are not created equal, so you need to ensure that you have selected one which is right for the job that you have in hand. Not all tiles are compatible with every tiles adhesive, and if you accidentally choose the wrong one, you will find that your tiles may slip or fail over time. 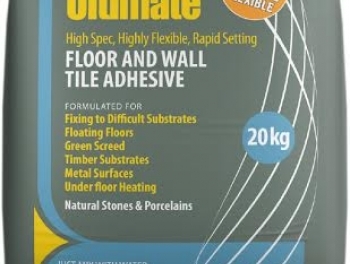 Here at Tiles Direct we have an impressive range of tiles adhesives of all types so that you can be sure that there will be one that is perfect for your particular project. 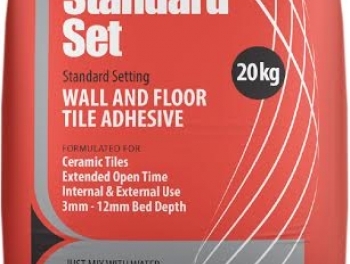 If you are using ceramic or other porous tiles, such as quarry or terracotta for your tiling project, you will find a Standard Setting adhesive is perfect for your wall or floor both outdoors and indoors. 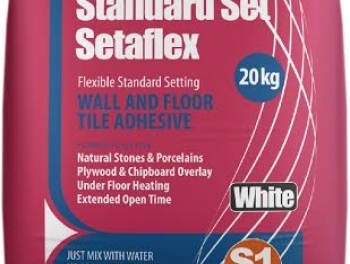 When used with a solid substrate like sand, cement, plaster or brick, it will fix your tiles firmly in place while improving their slip resistance. Porcelain and natural stone tiles require a different treatment, and Standard Setting Flexible adhesive is the ideal solution. This product can be used on substrates that may suffer from vibration or limited movement like plywood overlays. Suitable for both interior and exterior use, this adhesive can even be used for wet areas like swimming pools. 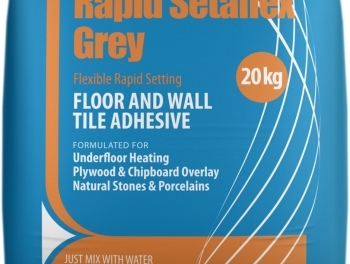 If you are applying tiles over an underfloor heating system, you may want to consider a Flexible Rapid Setting adhesive which has been designed especially for these areas. As it sets quickly, it allows for light foot traffic after just three hours, and can even be used outdoors and in wet conditions. Perhaps you have more complex tiling needs? Then Tiles Direct has all the answers. 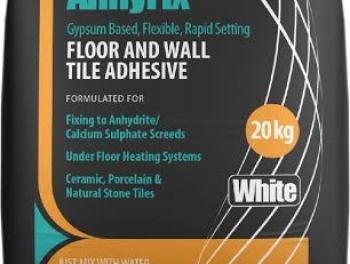 Our professional grade anhydrate adhesive is rapid setting and flexible, suitable for use on a wide variety of tiles when the substrate is gypsum based. 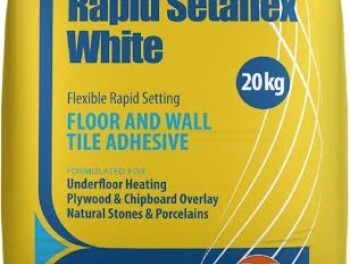 Alternatively, the Ultimate Tile Adhesive has a high specification, having been designed especially for complex substrate types such as metal or T&G Floorboards. 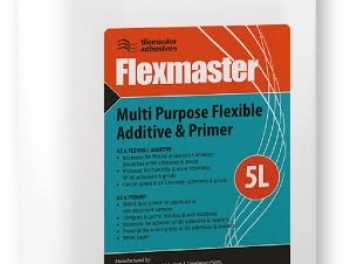 For a multi-purpose product that fits the needs of many customers, the Flexmaster Flexible Additive and Primer is perfect for strengthening the adhesion of cement based adhesives as well as improving their durability, water resistance and flexibility. It can also be used to seal, prime and stabilise substrates before applying tiles to the surface. Visit us at Tiles Direct today and discover the best range of tile adhesives in Ireland. Our expert staff are able to advise on the correct specification for your unusual tiling needs and with all our products at low prices, achieving a professional finish for your tiling project couldn't be easier.